Looking "where to sell my Lancia Zagato?" Ask the Chicago Car Club! Are you wondering "where to sell my Lancia Zagato ?" 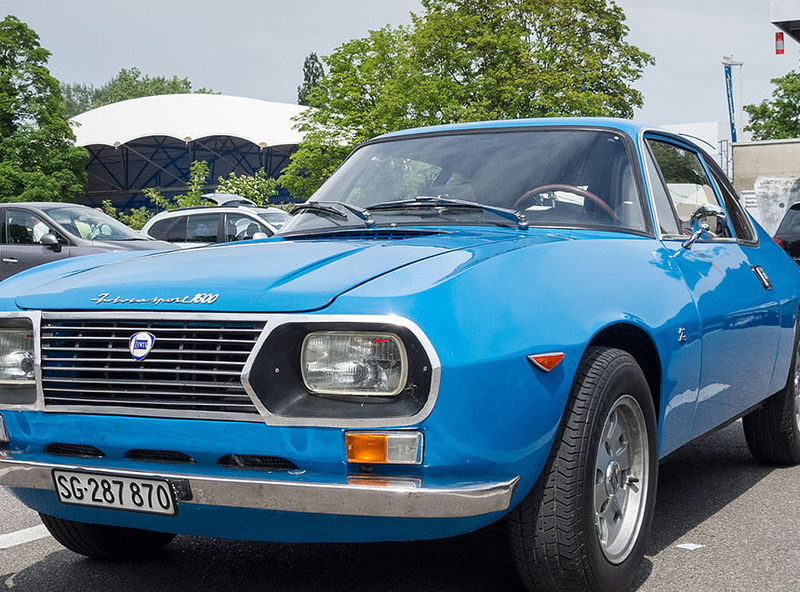 The Chicago Car Club is interested in classic cars of all makes and models, especially a Lancia Zagato. We make the process of selling your Lancia Zagato quick and painless. In just a matter of hours we will have your classic valued and, if you do so choose, turned into money in your pocket. All it takes is a phone call or electronic inquiry to get the ball rolling. Zagato is an Italian independent coachbuilder that combined the engine and chassis from other car makers with their own, stylish body designs, to create special edition models. They are located North of Milan in the Terrazzano frazione of Rho, Lombardy, Italy. They had a special relationship with the Italian car maker Lancia and made such cars for them as the Lancia Appia Sport, the Flaminia Sport and Super Sport, the Flavia Sport and Supersport and the Fulvia Sport and Sport Spider. This relationship lasted from the late 1950’s to the 1980s. Zagato was known for sleek and smooth aerodynamic body styles. Their founder, Ugo Zagato came from an aeronautics background. He started the company in 1919 when he left Officine Aeronautiche Pomilio. His skills translated well to automobiles. He built cars that not only performed well, but were also beautiful. The great Zagato design house has made some beautiful Lancia cars that are now highly prized by collectors, such as the Flaminia Sport and Super Sport. It used a shorter wheelbase, as in the GT, decked out with a smooth aerodynamic shape that made it look like it was going fast, even when it was standing still. It had a distinctive rounded body with pop-out handles and teardrop shaped headlight casings. Zagato built 99 Preseries, 344 Sports, 150 Supersports for Lancia. The Zagato version of the Lancia Fulvia Sport took the boxy design and gave it a smooth and rounded look that could be mistaken for a much more expensive Aston Martin DB4, so much so that in the movie, The Italian Job, a Zagato Fulvia Sport was slightly modified to pose as a DB4. Since so many were made, they are relatively inexpensive, at $30-40k, and make for a great entry level car for collectors who want true Italian design beauty.